Humanity is facing an unprecedented event in its history: the constant rise of the planet’s temperature due to an increasing concentration of greenhouse gases in the atmosphere. This is the consequence of a capitalist economic system (in its various forms) that is based on unlimited economic growth, the use of fossil fuels as source of energy, and the depredation of natural resources which are limited. This system is putting the economy first, ahead of the planet, of people, and ultimately, ahead of life. This dynamic, unless immediately addressed, will catapult us straight to the destruction of the biosphere and everything we hold dear: this country, its people, our ecosystems and the future of the current and future generations. The science is clear: we are in the sixth mass extinction event, and we will face catastrophe if we do not act swiftly and robustly soon. The IPCC (Intergovernmental Panel on Climate Change), an international organization created by the UN, sets the deadline for 2030 in its last report presented in October 2018. In other words, according to the always prudent and politically correct IPCC, we only have 12 years to drastically reduce emissions of polluting gases before the dynamics become irreversible. Everything is in danger both in here and around the world: our beaches, the deltas, the Pyrenees as we know them… But it's not just about the landscapes and magic nature spots that we love, it goes further than that. It's also about everything that sustains our life, including that of cities. Biodiversity is being annihilated all over the world. Our seas are poisoned, acidic, and rising. Flooding and desertification will render vast tracts of land uninhabitable and lead to mass migration. Our air is so toxic that it harms the health of our children, who see the development of their cognitive and physical abilities compromised, whilst causing also tens of thousands of people to die prematurely each year. The breakdown of our climate has begun: there will be more wildfires, unpredictable super storms, increasing famine, and drastic reduction of fresh water available. If we do not act right now, the climate we have in Catalonia will be in a few decades the equivalent to that of North Africa now. Faced with this situation, we refuse to resign. Any beings of sound rational thought, ethical conscience, moral concern, or spiritual belief, cannot deny, ignore or fail to prioritize this ecological and social emergency. In accordance with these values, the virtues of truth, and the weight of scientific evidence, we declare it our duty to act on behalf of the security and well-being of present and future generations, our communities, and the future of the planet itself. We, in alignment with our consciences and our reasoning, declare ourselves in non-violent rebellion against all corrupted and inept institutions that threaten our future. The system has declared war on life, deliberately ignoring two undeniable dependencies: ecodependence and interdependence. We need the rest of species and natural systems and to cooperate and take care of each other in order to survive. We must put people and care at the center and guarantee the rights of all, granted universally for the mere fact of existing. The reactionary and authoritarian political movements that are emerging in the world are nothing more than the guardians of the ruling classes, just as it happened before the Second World War. We just need to look at some of the first measures that are passed when these political movements get political decision-making power: tax reductions to the rich and authorizations to continue destroying nature even more. Inequality has not stopped growing and the elites are trying to maintain their privileges and their stratospheric salaries or profits, while the world is collapsing. How are they managing to succeed? Making us forget about them by creating division among the popular classes, sowing fear and identity hate, racist and colonial prejudices, and targeting them towards specific communities or oppressed collectives. Meanwhile, they are taking from us rights that costed decades, or even centuries, of struggle to gain. At the same time, the vast majority of the media is responding to the interests of those who own them (magnates, investment funds, or large corporations) by misinforming, turning their backs to the welfare of the social majority and violating their ethical and professional obligations. The present moment can be compared to that prior to the French Revolution. At that time, those who had power and money did not pay taxes, and those who paid taxes had no real power. Does this ring a bell? For all these reasons, we need to get democracy back and reduce inequality. The changes must be implemented at all levels with co-responsibility and social justice, distributing the possible costs of the needed measures according to the responsibilities and capacities of each sector of society. This fight is an opportunity to move towards a new model that will not be based on economic growth, a model that will be healthier, more humane, less consumerist and more focused on the well-being of everyone. There are already many real success stories that are indicating viable paths towards alternative models. Governments must tell the truth about how deadly our situation is, reverse all policies that are not in alignment with that position, and must work alongside with media to convey the urgency for change, specifying the role that corresponds to people, communities, businesses and organizations in this regard. Governments, cooperating between themselves, must enact legally-binding policies to rapidly and drastically reduce carbon emissions as requested by scientists, and take further action, not based on non-existent technological dreams, to remove the excess of atmospheric greenhouse gases. By necessity these demands require initiatives and mobilization of similar magnitude and scope to those enacted in times of war. We do not however, trust our governments to make the bold, swift and long-term changes necessary to achieve this and we do not intend to hand further power to our politicians. 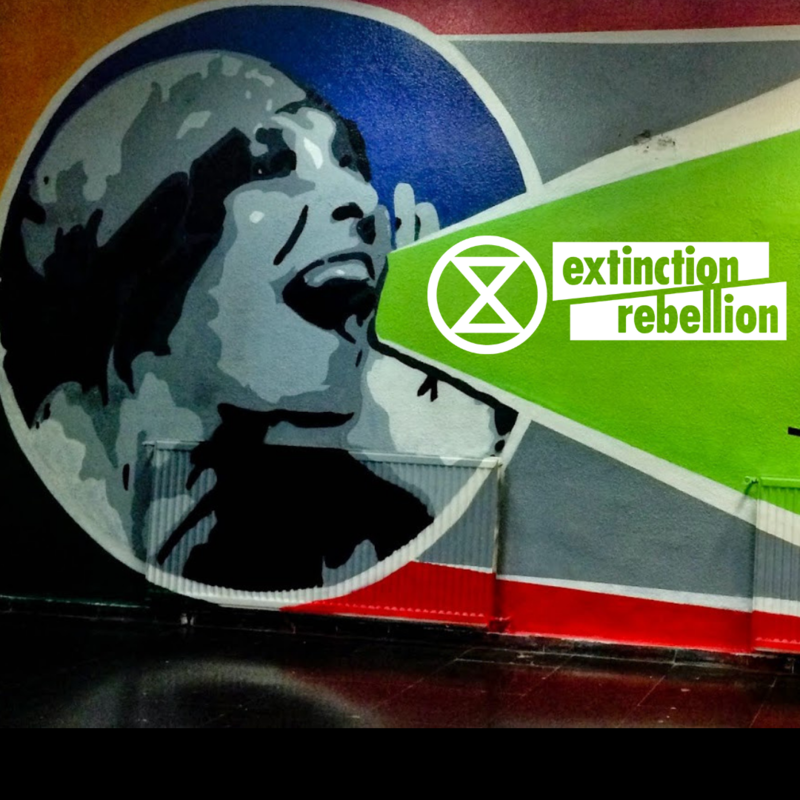 Instead we propose the creation of citizen assemblies that will generate an adequate democracy to promote and oversee the ecological and social revolution. This rebellion needs the contribution of many people, and each of their possibilities, abilities and sensibilities. Will you be part of it?